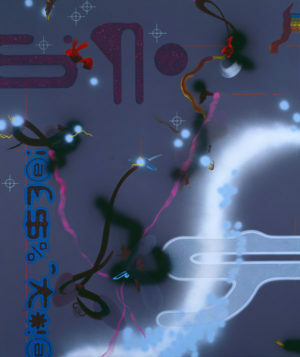 Solo exhibition, catalogue with essay by Gilda Williams. Group exhibition, catalogue with essay by curator Jurriaan Benschop. 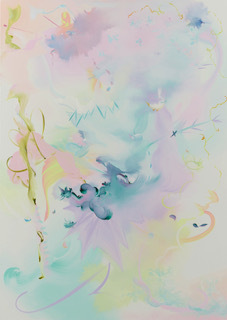 Group exhibition runs until May 5. 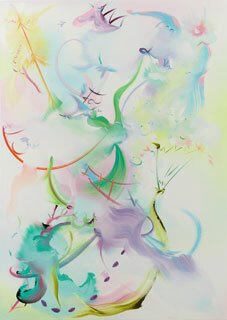 Group exhibition; further information can be found on the Buchmann Galerie website. Further information on RA website. 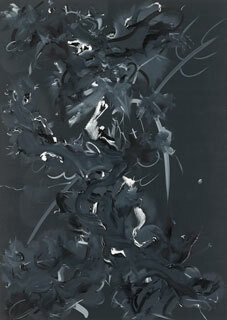 A solo exhibition of greyscale and colour paintings; further information can be found on the Buchmann Galerie website. NON FIGURATIF – UN REGAIN D’INTÉRÊT? Further information can be found on the gallery website. A solo exhibition of new greyscale paintings and charcoal drawings; further information can be found on the Timothy Taylor Gallery website. This joint exhibition of recent works travels to Southampton City Art Gallery and will include a further 20 small paintings and works on paper. 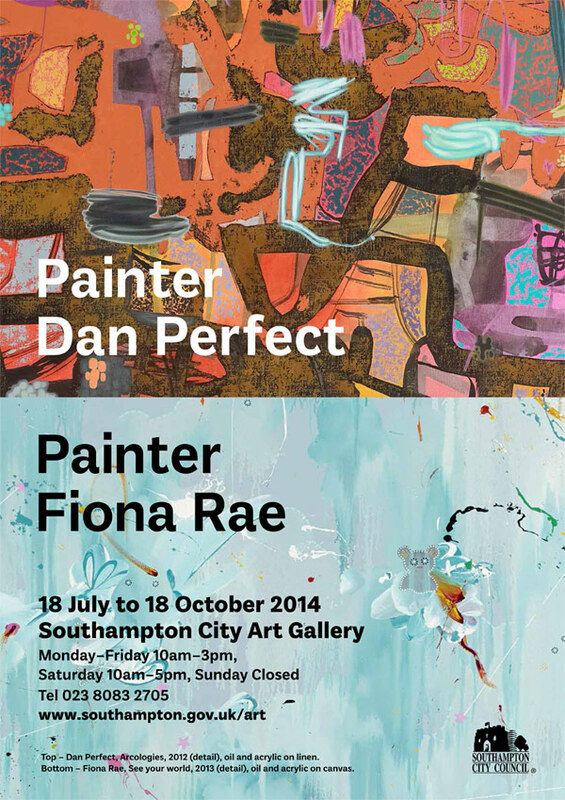 Both Rae and Perfect are represented in the permanent collection at Southampton with earlier paintings which will also be on display. 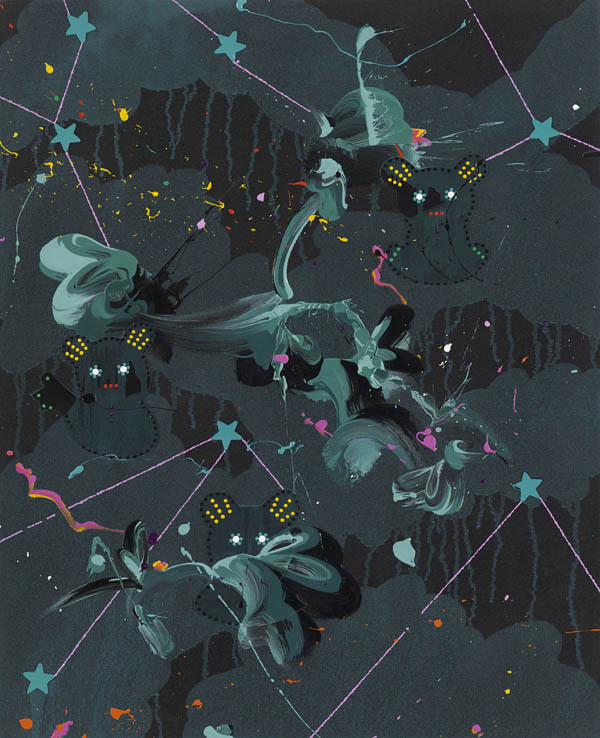 This group exhibition curated by Jane Neal includes paintings by Fiona Rae, and is accompanied by an illustrated catalogue. Further information can be found on the gallery website here. 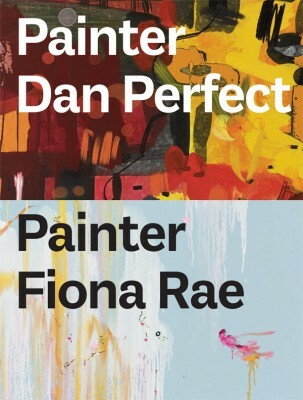 Painter, Painter: Dan Perfect, Fiona Rae is an exhibition of large-scale recent paintings by British artists Fiona Rae and Dan Perfect. 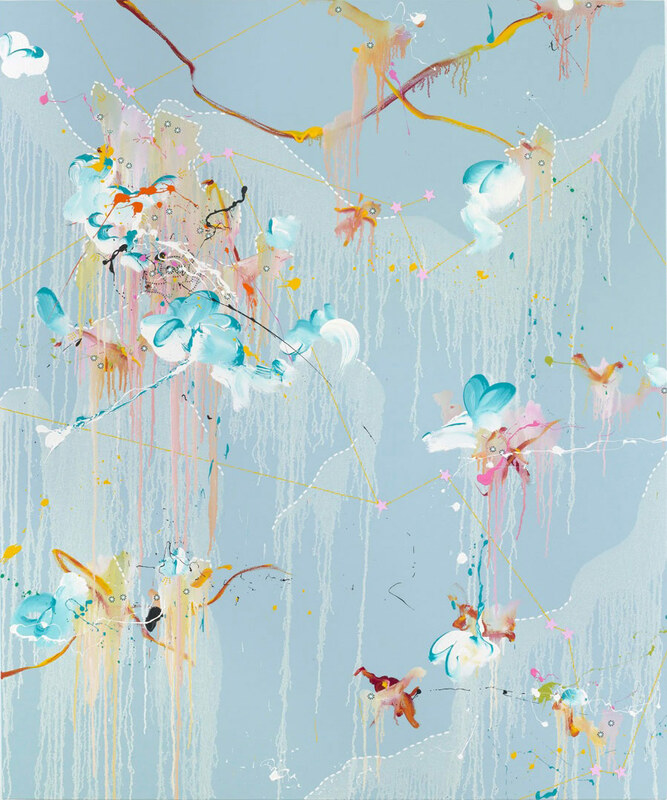 Both these artists find space between the abstract and the representational world in unique and distinctive ways. 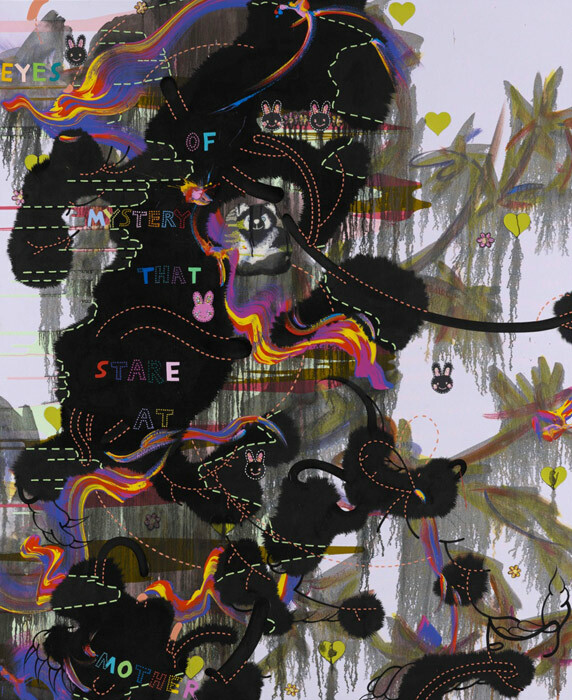 Committed to the expressive and enduring language of painting, they share a deep interest in our contemporary experience refracted through technology and cultural media, with manifestly different outcomes in their work. Perfect and Rae are married and live together, working in separate studios in the same building in London’s East End. 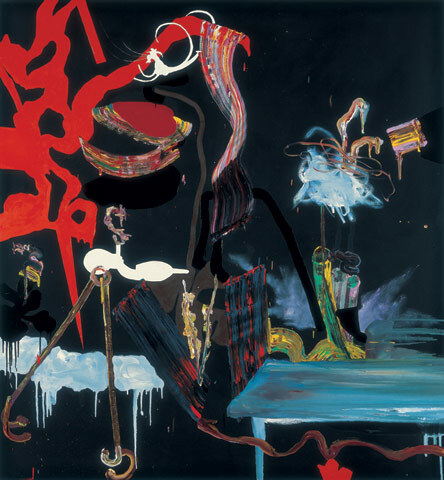 This is the first major simultaneous presentation of their paintings in a public gallery, and the first dedicated contemporary painting exhibition at Nottingham Castle for many years. 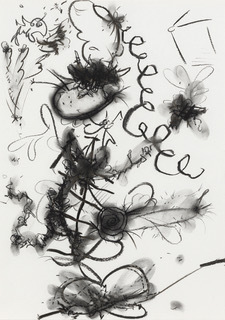 Untitled (sportsman size with flowers), 2004 is included in this group exhibition of works on paper donated by Florence and Daniel Guerlain to the Centre Pompidou. 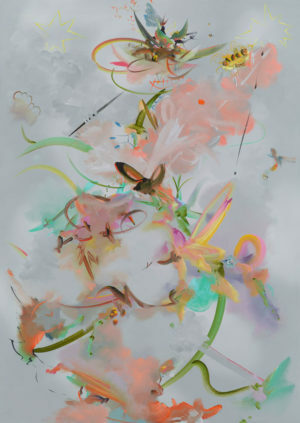 Blossom of my heart, 2013 is included in part 2 of this exhibition with works by Dan Perfect, Rosemarie Trockel, Richard Deacon, Bridget Riley, Fred Wilson and others. 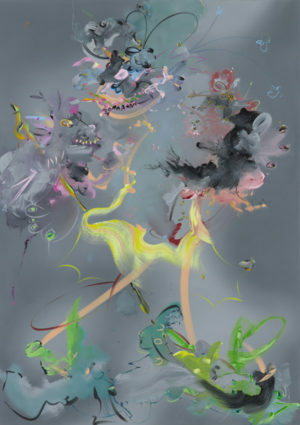 Fiona Rae has a solo exhibition of paintings selected from the last decade, curated by Sarah Brown. 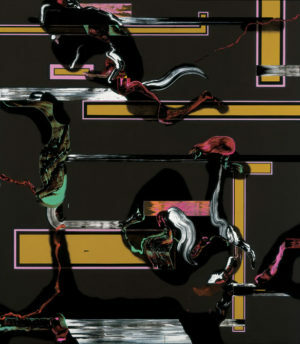 This show, which travelled from Leeds Art Gallery and The New Art Gallery, Walsall, is the first time that this period of her practice has been considered collectively, and examines the developments of this distinctive body of work. 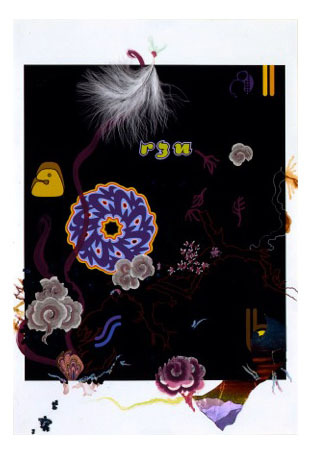 There is a fully illustrated catalogue with a text by Gilda Williams accompanying the exhibition. 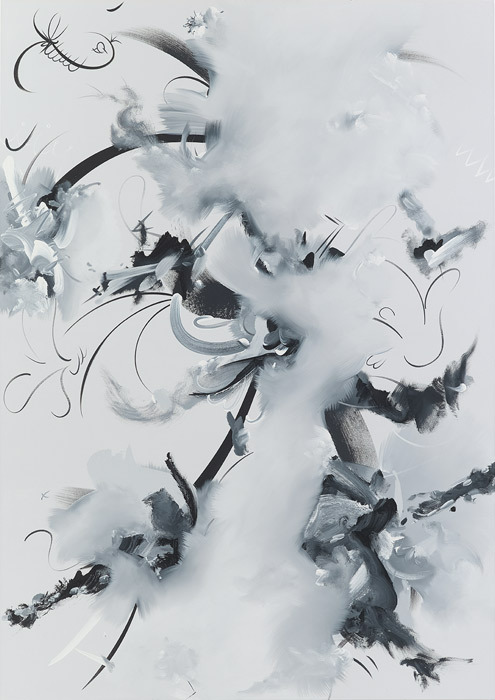 Fiona Rae has a solo exhibition of new paintings inaugurating Galerie Nathalie Obadia’s second location in Paris at Rue Bourg-Tibourg. Fiona Rae will have an exhibition of new paintings. 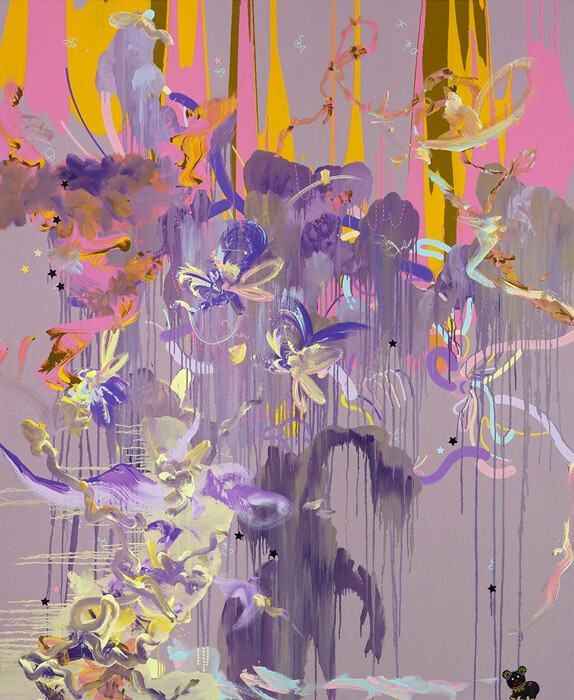 Fiona Rae has a solo exhibition of paintings selected from the last decade, curated by Sarah Brown. 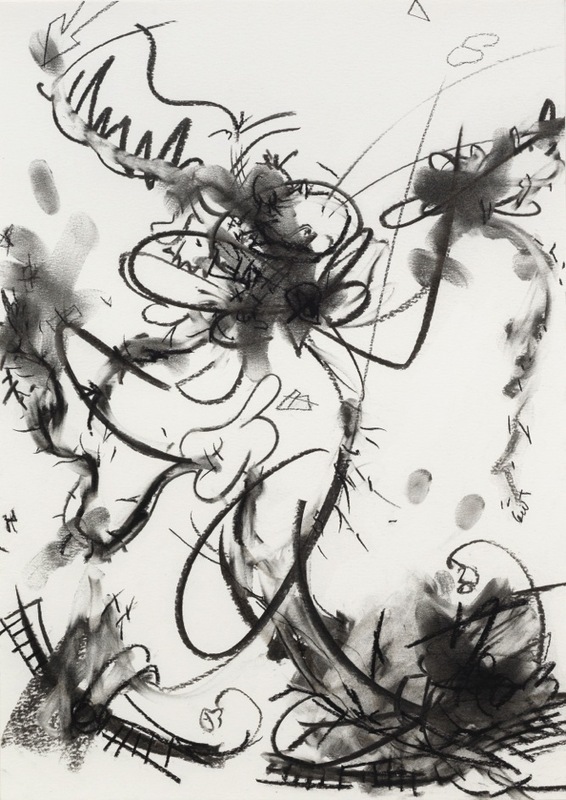 This show, which travelled from Leeds Art Gallery, is the first time that this period of her practice has been considered collectively, and examines the developments of this distinctive body of work. There is a fully illustrated catalogue with a text by Gilda Williams accompanying the exhibition. 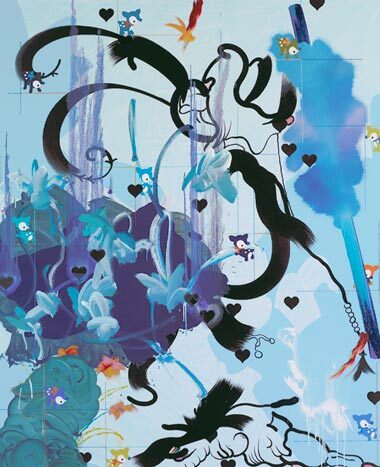 Rae features in this travelling exhibition, organised by the Royal Academy of Arts and Fortune Cookie Projects. 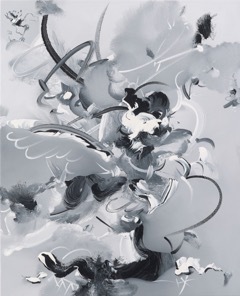 The ICA in Singapore will showcase a number of Royal Academicians including Phyllida Barlow, Tony Cragg, Michael Craig-Martin, Tacita Dean, Tracey Emin, Antony Gormley and Cornelia Parker alongside prominent Asian artists selected by the project curators Dr Charles Merewether, Director of the ICA, Singapore, and Josef Ng, independent curator based in Bangkok. For the exhibition in Qatar, the RA component will remain the same as in Singapore, however the Asian artists will be substituted by an equal number of artists from across the Middle East, selected by Dr Charles Merewether and the project organisers. A fully-illustrated catalogue, with texts by David Thorp, Dr Charles Merewether and Josef Ng accompanies the exhibition. 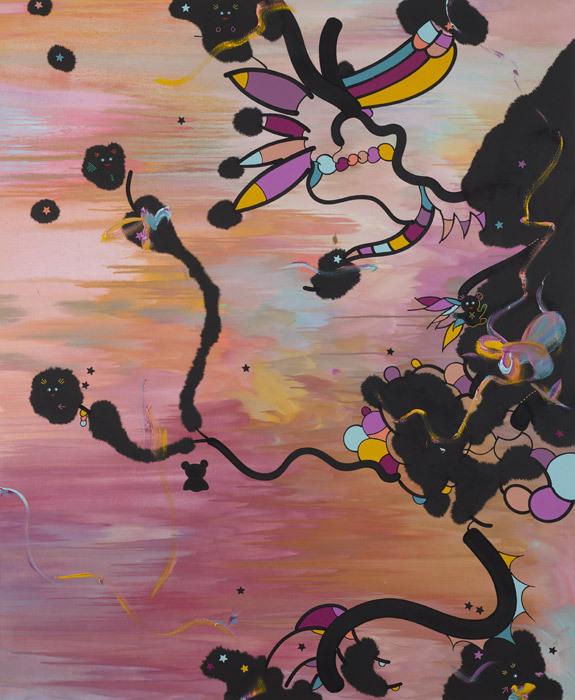 Rae is featured in this group exhibition, curated by Toby Clark and Olga Mala, which presents work from London-based artists including Keith Coventry, Marcus Harvey, Jason Martin, Dan Perfect and Gavin Turk. 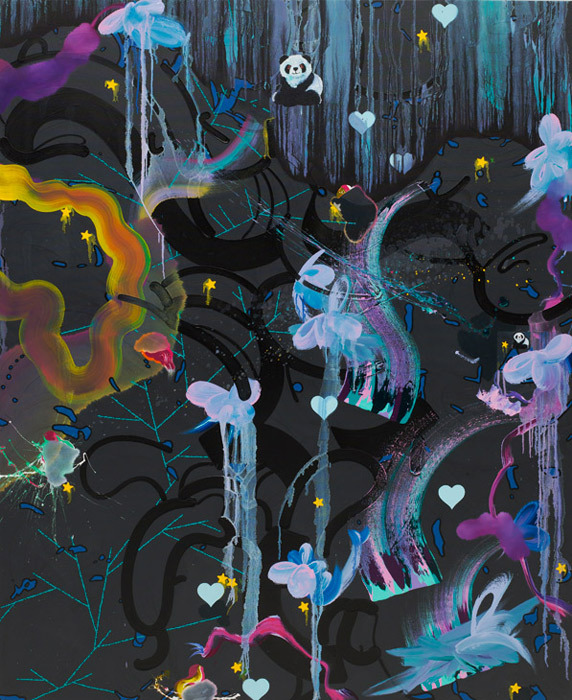 Fiona Rae will have a solo exhibition of 17 paintings selected from the last decade, curated by Sarah Brown. The show will be the first time that this period of her practice has been considered collectively, and will examine the developments of this distinctive body of work. There will be a fully illustrated catalogue with a text by Gilda Williams, published by Leeds Museums and Galleries in association with Ridinghouse. 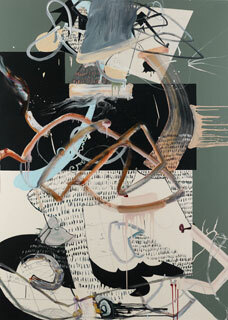 Fiona Rae RA has been appointed as Professor of Painting for the Royal Academy Schools. She joins a long list of esteemed painters to have held this position and is the first female artist to be appointed Professor of Painting in the history of the Royal Academy. 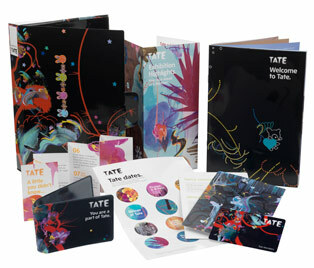 Every two years, an artist represented in the Tate Collection is invited to become Tate Members’ commissioned artist. 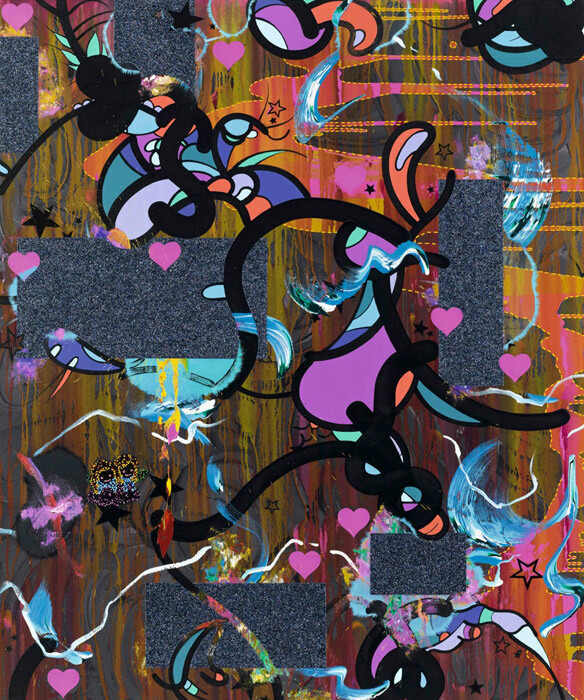 It’s currently the turn of Fiona Rae. Her images will appear across a variety of Members’ communications, including posters, membership cards, Oyster card wallets and canvas bags. 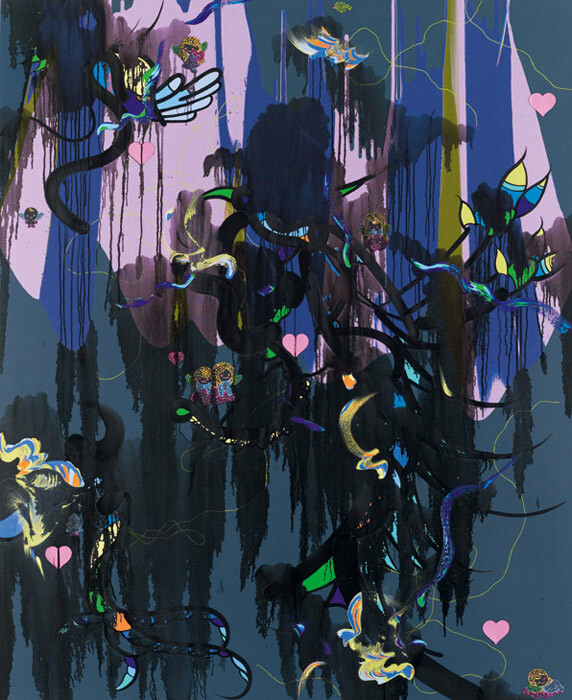 Fiona Rae features in this group exhibition of selected works from the collection of Dr Erich Marx, organised by the Hamburger Bahnhof, Museum für Gegenwart, Berlin, the Atlas Sztuki, Lódz and The National Museum in Szczecin. 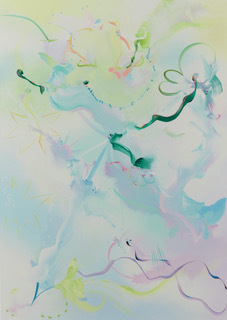 The show includes work by Ross Bleckner, Enzo Cucchi, Eberhard Havekost, Anselm Kiefer, Wilhelm Sasnal and Julian Schnabel among others and will travel to The National Museum in Szczecin, Poland, January 27–April 22, 2012.